When subject matter experts (SMEs), management, and others gather to perform a risk assessment or a root cause analysis on a failure, they’re sure to achieve the desired outcome, right? 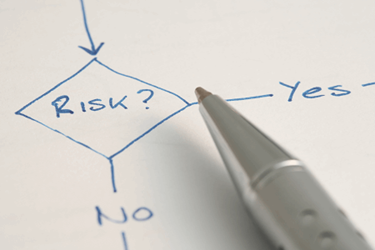 Perhaps for a simple risk assessment or investigation, but success is not very likely for one that is even moderately complicated. That’s where a skilled facilitator is needed. The root of the word “facilitate” is facile, which means to make easy. That really says it all. Facilitators are a neutral third party with a set of special skills and abilities to keep the group on task, follow acceptable norms and practices, and help them reach their goal. In other words, they help establish and strengthen relationships among the group’s members so they can effectively and efficiently accomplish what they need to. A group of informed individuals, working together, can accomplish more than one person working alone. Everyone’s opinion is of equal value, regardless of rank or position. People are more committed to ideas and plans that they have helped to create. Participants will act responsibly in assuming accountability for their decisions. The process — if designed well and sincerely applied — can be trusted to achieve results. create and ensure a safe place where individuals and what they are contributing are respected. Some team members — SMEs, an “owner” of the risk assessment, and others — may already have been selected to participate. You may need to suggest inviting additional SMEs to have the needed expertise available. (Consider having SMEs come in for short periods when their knowledge is needed.) You should ensure the team is reasonable in size — not too large, not too small — and includes people who can contribute in the process. Consider the roles each person will play within the group. Having a cross-functional group of team members adds considerable value. Having different perspectives, experiences, and knowledge will bring about a more robust and richer result. For each meeting, an agenda must be provided to the team members in advance. If there are assignments of what to bring — flow charts, trend analyses, samples — this can help the participants prepare. To help manage the process, include the time allotted for each agenda item. If you are unfamiliar with the room, get there early to make sure the technology works, there are enough flip charts or whiteboards, and markers aren’t worn out. At the start of the session, go over the agenda with the participants and obtain their agreement. Digressions from the agenda that might occur during the session should be placed on the “parking lot” flip chart. Consider having a team member be the timekeeper, perhaps using the alarm on their smartphone to signal it is time to move ahead. As you set the agenda times, beware of the optimism bias that assumes everything will go smoothly and take less time than it does. You will need to be prepared to limit discussion, stop participants from digressing and descending into rabbit holes, and refocus the group. The challenge is knowing what is essential to resolve at a given point and what can be set aside for later. For a face-to-face meeting, try, if possible, to limit the meeting time to approximately three to four hours, including a brief break or two. If longer than this, decision fatigue may begin to set in, where the quality of decisions (e.g., brainstorming, problem solving, scoring hazard likelihood and severity) deteriorates. Most people who have worked in team/group settings are familiar with having ground rules that set the expectations for the participants. These are primarily based on common sense and the need for participants to respect each other and their ideas. Together, these create a safe working environment to discuss, explore, and decide. Sometimes, organizations have formalized these ground rules and display them on posters in conference rooms. In any case, it can be helpful to have the participants voice for themselves specific, relevant behaviors that are to be encouraged (e.g., everyone participates, is present for the entire meeting, and listens to ideas without judging) or avoided (e.g., checking phone messages, side conversations, talking over or interrupting others). Active listening: Listening can take considerable energy as you hear a person’s words and watch their nonverbal cues. Encourage people without interrupting them. Asking questions: Questions test assumptions, invite participation, gather information, and probe for hidden points. The facilitator should ask open-ended questions (questions that provoke more than simple yes or no answers) to encourage thorough discussion. Paraphrasing: Paraphrasing involves repeating what has been said to let participants know they are being heard, let others hear the point a second time, and clarify key ideas. It also provides an opportunity to ascertain if the facilitator has correctly heard or interpreted what was said. Parking lot: When a discussion gets off track and participants talk about issues not on the agenda, the facilitator can ask the group to pause and reconsider the meeting purpose or desired objectives. Remaining neutral: The facilitator must focus on the process role and avoid the temptation to offer an opinion on the topic under discussion. A facilitator who becomes involved in the content discussion must let the group know he is stepping out of the facilitator role. Summarizing: After listening attentively to all that has been said, a facilitator should offer a concise and timely summary. Summarizing is a good way to revive a discussion or end one when things seem to be wrapping up. Synthesizing: While it may sometimes be appropriate to record individual ideas of each participant, in other situations the facilitator may encourage attendees to comment on and build on each other’s ideas and then record the collective idea on a flip chart. This builds consensus and commitment. Using flip charts: Making flip chart notes not only records decisions, priorities, and key points of discussion, but also focuses the group’s attention and ensures all participants agree with what is being recorded. Using technology: Projecting a text document or a spreadsheet on a screen allows everyone to see and comment. What actions are to be taken? Who is accountable for executing each action? When should the actions be completed? Being an effective facilitator takes time and multiple experiences with different groups. Learning is sometimes a bit painful when you are working with a difficult group, but that is when you learn the most. Facilitation is a skill you can take with you and use wherever you might work in groups — at work, on community projects, and as a volunteer. NOAA, 2010. Introduction to Planning and Facilitating Effective Meetings. Available online at https://coast.noaa.gov/data/digitalcoast/pdf/effective-meetings.pdf. Accessed Nov 28, 2018. James Vesper is director of ValSource Learning Solutions and has more than 35 years of experience in the pharmaceutical industry. He worked at Eli Lilly and Company before establishing the consulting firm LearningPlus. Vesper joined ValSource in 2017 and designs training courses and performance solutions. He has worked around the world at pharma and biopharma firms, trained inspectors from a number of health authorities, and written five books. Vesper received his Ph.D. in education from Murdoch University (Perth, Western Australia) and his master of public health degree from the University of Michigan School of Public Health (Ann Arbor). You can reach him at jvesper@valsource.com. Amanda Bishop McFarland is a quality risk management and microbiology consultant with Concordia ValSource, LLC. She specializes in the creation and implementation of risk management programs and developing risk-based strategies for use in microbiology. McFarland is an active member of the Parenteral Drug Association (PDA), a faculty member for PDA’s Training Research Institute, and an instructor for the PDA course on quality risk management implementation. She has a B.S. in entomology and an M.S. in mycology, both from the University of Florida.